Welcome to the latest edition of road.cc’s buyer's guide to the most essential wet weather clothing in which you’ll find our recommendations for the right gear to get you through the wet months. With the right wet weather cycling clothing and a determined attitude, riding in the rain can be less of a chore, though few cyclists say they enjoy it. If you're commuting on a daily basis, or just keen to stick to a training schedule to prepare for the summer, here's a selection of the best gear to help you handle the rain. Got your own favourites? Tell us about them in the comments. There are lots of very good rain-specific cycling products available, from waterproof jackets to mudguards and overshoes. We've rounded up some of the best wet weather clothing and gear that will hopefully make riding in the rain a little less unpleasant. A good waterproof jacket is your first line of defence against the wet. With high tech fabrics getting better all the time, you can now get a lightweight jacket that will keep you dry and that's breathable enough to prevent the 'boil in the bag' effect of waterproof jackets from years ago. 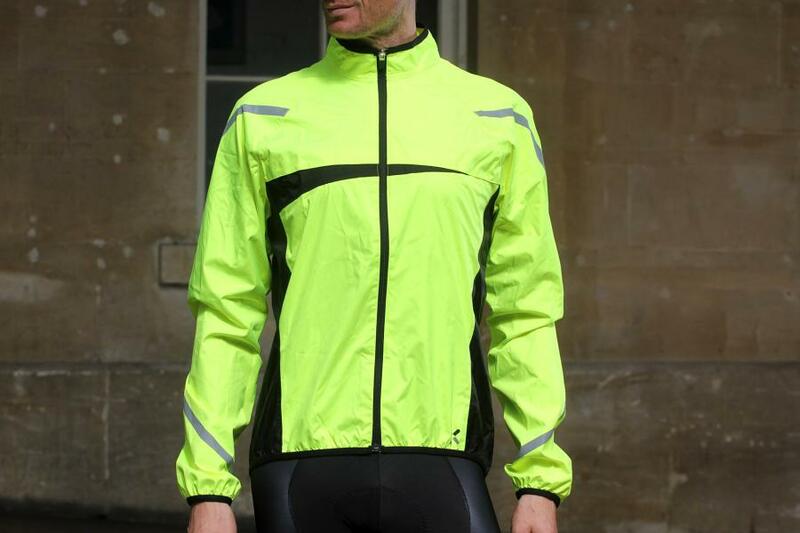 The B'Twin 500 High Visibility Waterproof Cycling Jacket provides excellent rain protection with a coated membrane material and taped seams plus plenty of reflective details to help you been seen on the commute to work. There are vents and breathability is very good. A longtime commuter favourite, Madison's Prime shell is lined for comfort, festooned with reflective patches and well thought-out for everyday riding. Useful features include pit ips and vents for cooling, a chest pocket for your wallet and keys and a light loop out back for extra visibility. It comes in a big range of sizes too: up to XXXL in men's and 18 in women's. The price above is for colours other than yellow in men's, and women's yellow, though we'd argue that in low light it's reflective patches and not colour that make the biggest difference in how easily you're seen. The Gore C7 Gore-Tex ShakeDry Stretch Jacket provides total rain protection with incredible breathability. The stretch panels help to give a perfect fit that lasts through machine washing and tumble drying. This jacket is packed with tech features. The Gore ShakeDry fabric that made the last iteration so good is still present, and it works really well in heavy rain. Put simply, nothing gets through. Added to this latest edition is Gore's new Stretch technology. It was developed with the military for use with body armour and is also windproof and completely waterproof. It's not just rain that gets you soaked, your own spray from the road can, without mudguards, ensure you'll be soaked very quickly. Mudguards are available in wide range to fit just about every model of road bike, from full-length traditional 'guards to simple and cheap clip-ons. The mudguards you can fit depends on your bike. If you have eyelets at the fork and rear dropouts and clearance in the frame, you can fit full-length traditional mudguards. They are light and offer the best protection from the spray as they nearly fully enclose both wheels. Worry not if your frame isn't compatible, there are many mudguards that can be fitted to almost any bike. Using clips and zip ties these 'guards can be attached, and removed easily, to any road bike. While they don't quite give the same level of protection as traditional mudguards, they're better than not having any at all. The SKS S-Blade will fit seatpost diameters between 25.4 and 35mm. It works best with 18-26mm tyres. 28mm upwards shows signs of compromise with tell-tale spatter congregating along the peripheries. Getting everything aboard is effortlessly simple; you'll just need a 4mm Allen key for tweaking the angle. 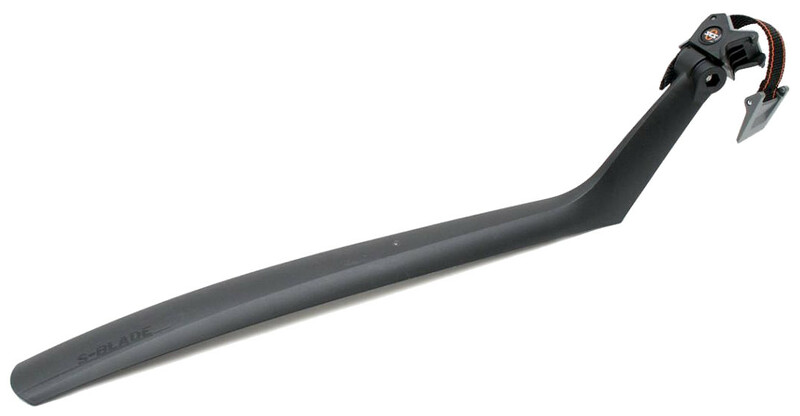 The SKS Chromoplastic mudguards are one of the best known, and very highly regarded, full-length options. They’re made by sandwiching aluminium strips inside a plastic housing. The resulting profile is quite deep which makes it stiff and sturdy. Stainless steel stays fix them in place and the Secu-Clips on the front means they pop out of the mount if somehting gets caught between the mudguard and tyre, rather than locking teh wheel and putting you on your face. You get a generous mudflap on the front mudguard and a reflector on the rear. They’re available in several sizes to fit tyres from 20 to 45mm. The other popular option is the Crud Roadracer. As long as you've got 4mm between the top of your tyre and the inside of your brake caliper, the Roadracers will slide in. The Mk3 version is the longest of any clip-on mudguard, almost as long as full-length mudguards, and has a front mech protector too. Ride a bicycle without mudguards and soon your feet will be very wet from front wheel spray. Most cycling shoes are far from waterproof, the large majority have lots of vents. Great in the summer, just let in water during the winter. Overshoes are simple items that slip over your shoes, with zip or Velcro fastener at the rear to seal them up. While not always completely impenetrable by the rain, they can go a long way to preventing your shoes from becoming paddling pools for your feet. Madison's Sportive PU Thermal overshoes are a great option for wet weather riding, with the added thermal benefits providing some much-appreciated insulation. Although described as a mid-weight overshoe by Madison, they don't struggle when the temperature gets down to low single figures. An alternative to overshoes are waterproof socks. Often when it's really wet, we'll pair them with overshoes or oversocks for an extra layer of defence against the rain. Sealskinz is the name you'll come across most often, and its Mid Length Socks are a good thing to have in the drawer once the cold and wet weather draws in. There are some UK conditions that will breach any foot fortifications, but these socks are a great last line of defence. They've been rebranded as mountain bike socks, but they still keep out the wet on the road. Perched out on your handlebars your hands face the brunt of the weather. As your hands become sodden from the constant rain, their temperature quickly cools, and before too long you can have some very frozen fingers to deal with. Frozen fingers aren't much good at changing gear, braking or clinging to the handlebars, and they're agonisingly uncomfortable. Here are three typical options. SealSkinz Ultra Grip Gauntlets have been designed to cope with cold and wet conditions, offering protection from water and wind as well as being breathable, all in a knit, stretch glove. 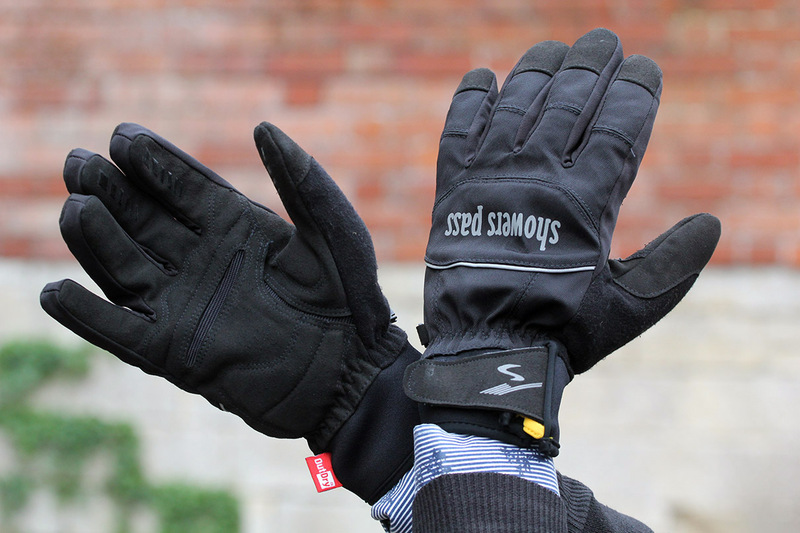 They deal with the elements competently, keeping your hands protected and dry. They can get a little warm on the inside but rather that than cold, wet hands. Some truly waterproof designs use a TPU lining, which is very welcome in sub-zero conditions but horribly clammy when the mercury nudges 6°C or so. Altura has gone a different three-layer route: the backs employ a pliable polyester laminate, next in sits a windproof, breathable membrane, and a thermal liner completes the sandwich. The Night Visions passed our freezing canal water immersion test – right to the stitched cuff line. On the bike, rain, sleet and snow just rolled away. Showers Pass Crosspoint Softshell WP gloves will keep your hands dry and toasty even in a hard winter, but if it's mild they might be a shade too warm. You've got a good jacket, now you need to think about the lower half. Trousers or tights, depending on your preference, are available in waterproof varieties. 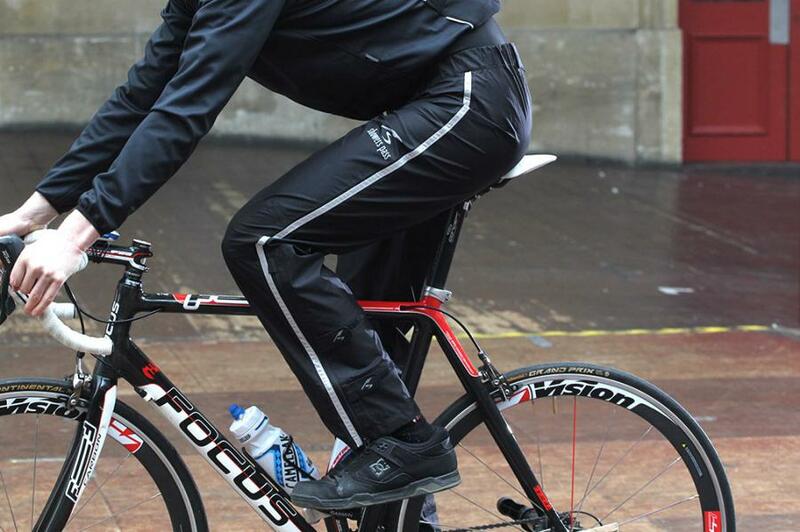 Waterproof trousers are ideal for commuting and short rides, they can be worn over regular clothing. There's less choice for waterproof tights, but some brands do add a waterproof finish, like Castelli's No Rain treatment, which encourages the water to bead off the surface. Here's a great example of each. Endura's Pro SL Biblongs are excellent: they're windproof, fit superbly, and the pad comes in three widths, offering a little customisation. At the core of the longs is the four-way stretch windproof, breathable fabric with DWR (Durable Water Repellent) finish front and seat panels. This panelling of fabrics gives the longs a very comfortable fit. On the bike, they fitted me perfectly with no bunching of material at the back of the knee. 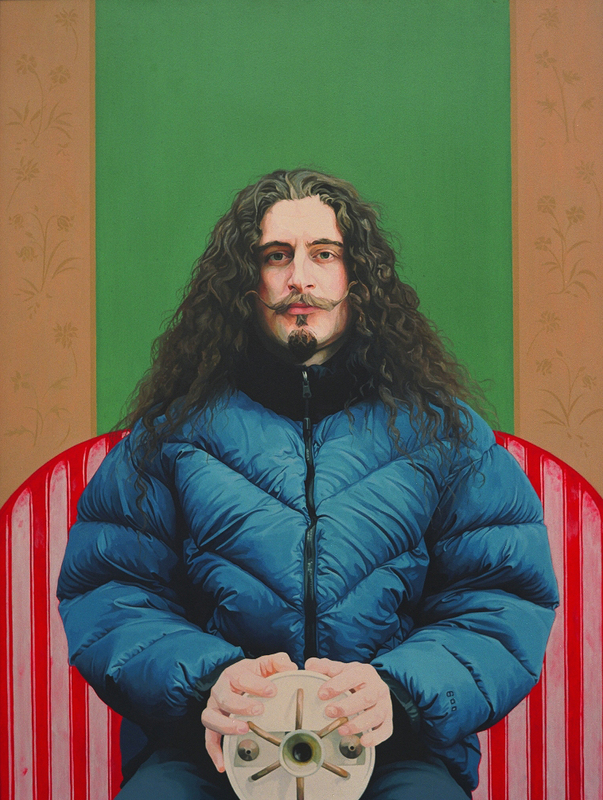 The windproofing is very effective and kept me nice and toasty down below zero. The density of the fabric is brilliant and results in no cold spots where the material is stretched. With others, my knees can get quite stiff in the cold; no such problems here. The price above is full RRP for the medium pad version, but some sizes are available for a lot less; L, XL and XXL for £76, £87 and £76, for example, or with a narrow pad for £98.99. Better fabrics and more careful tailoring mean we've seen a substantial improvement in waterproof overtrousers in the last few years. Made from waterproof and breathable Artex hardshell 3L ripstop fabric, the Showers Pass Transit Pants do a great job of keeping the water out. Sometimes, even overshoes aren't enough protection. 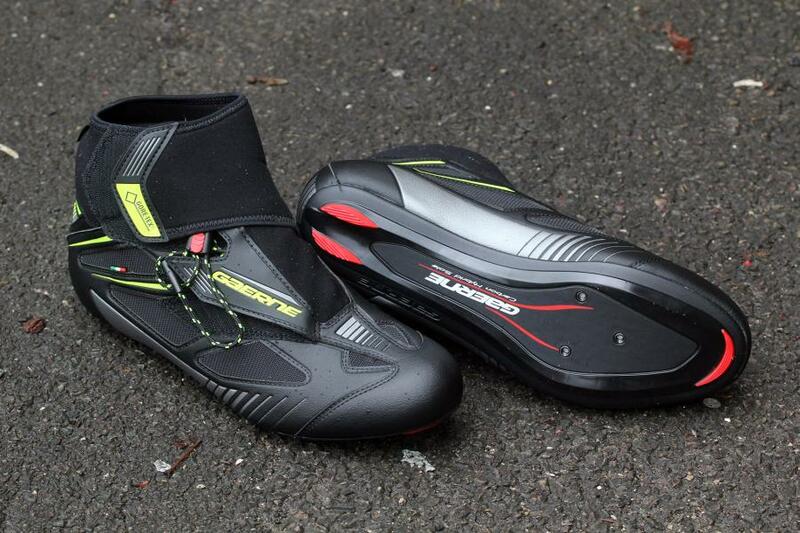 Waterproof shoes and boots can be a very smart investment, especially if you're determined to ride in the rain. They typically have a neoprene liner and extended ankle, and a fully waterproof exterior that completely seals the feet up. Pair with waterproof socks for the ultimate protection from wet feet. They're intended for mountain biking but the MW7s are great for road warriors who like running SPDs (and being able to walk around) through the wetter and colder months. Commuter-friendly touches include reflective details on the sides and back providing 360 degree visibility. The Gore-Tex liner keeps the water out and they're comfortable with mid-weight socks down to low single figure temperatures. The Gaerne G.Winter Road Gore-Tex road shoes offer the sort of protection you need if you're determined enough — or should that be mad enough? — to keep cycling through really bad weather. There's a Gore-Tex membrane inside the shoe that delivers impressive rain and road spray protection. Your feet stay dry even in prolonged downpours, or riding through flooded roads. All those vents in your helmet just serve to let the rain in. Wearing a hat or cap underneath will keep some of the rain out, and will stop your head from getting too cold. Simple traditional cotton caps can serve you well, and the peak serves to prevent a lot of rain dripping into your face. You can buy cycling caps made from waterproof fabric, and there are numerous skull caps made from water resistant and windproof fabrics. A simple Buff-style garment wrapped around your head will go a long way to keeping the cold at bay. 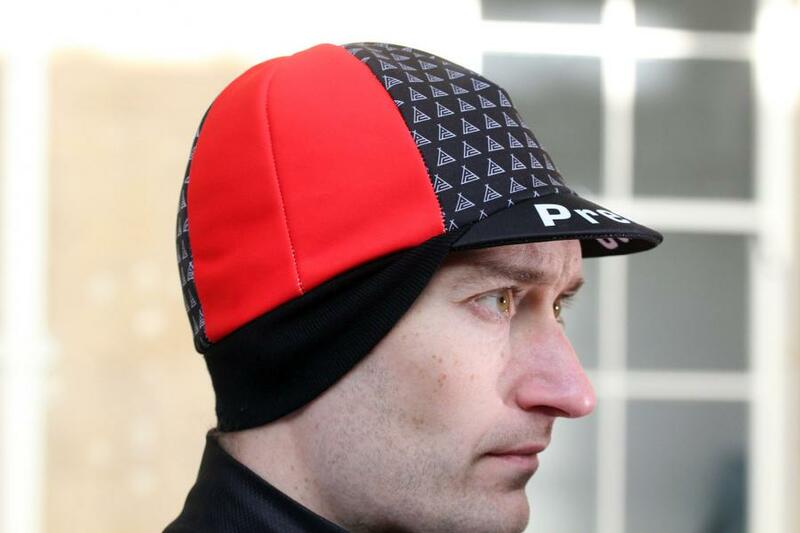 The Prendas Sublimated Pro Winter Hat does a brilliant job of keeping your head and ears warm. The fabric is thin enough that it'll fit comfortably under a helmet, yet provides adequate insulation for temperatures well below freezing. 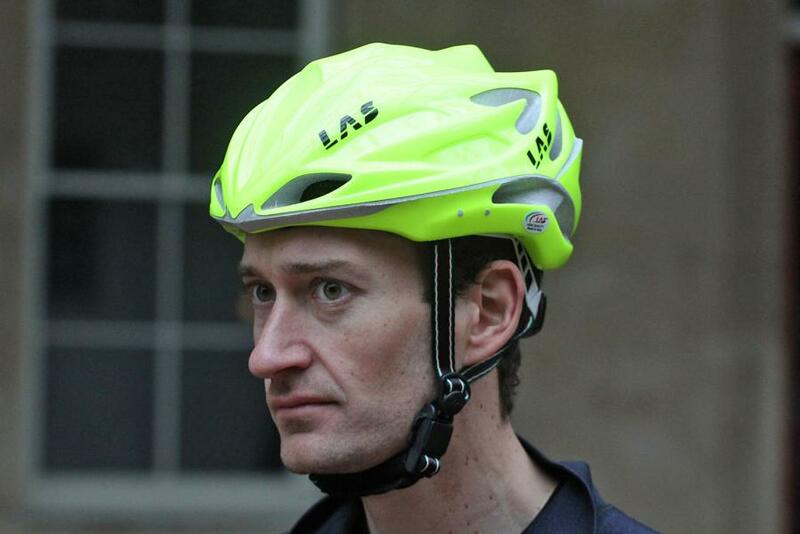 Aero helmets, intended to help you go quicker in the summer, also come in handy in the winter, as the lack of vents help to keep out most of the wind and rain compared to a regular helmet. The LAS Victory Vento is one of the least expensive of this new breed of aero designed helmets. The rain can seriously impair visibility out on the road. A set of bright front and rear lights in good working order is another consideration for cycling in the rain. 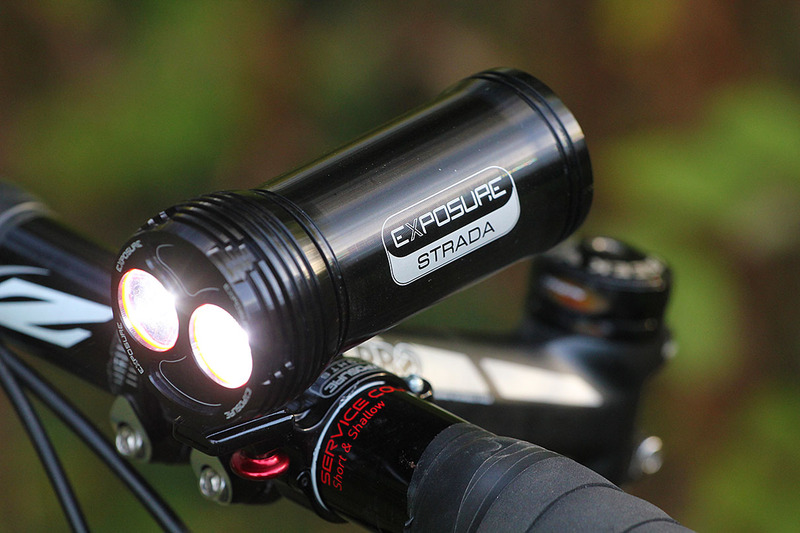 The Strada from Exposure is a serious light and punches out 1200 lumens onto the road ensuring even on the darkest country lanes you'll be able to see potholes, rabbits, badgers or other road users in plenty of time. A good rear light is a must too. The Oxford Ultratorch Slimline R50 is a compact, lightweight, rechargeable rear light with excellent all-round visibility. A jacket with reflective panels and details, or a gilet that can be worn over the top of anything, is a good way to boost your presence on the road. You want to make sure you can be seen by other road users ahead and behind, and reflective panels, or even a completely reflective jacket will grab the attention of other road users. If you ride in the dark reflectives are what you need. 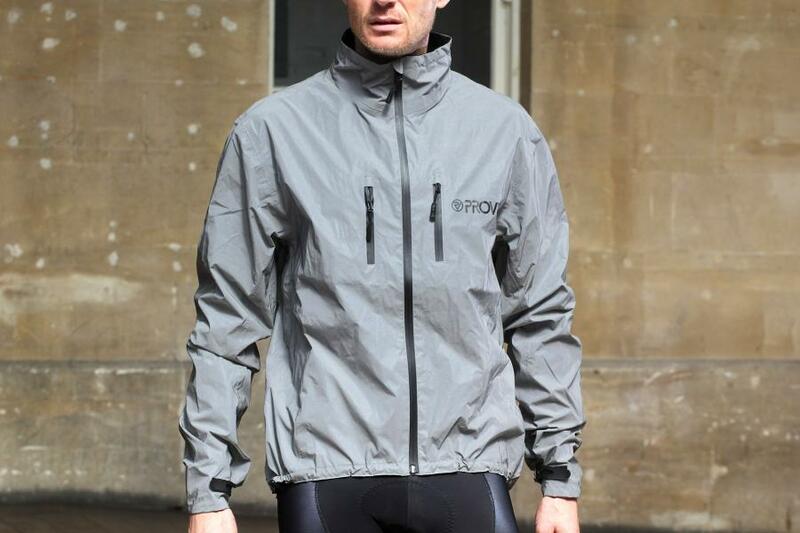 UK company Proviz has taken this to the extreme with the Reflect 360 jacket; the outer is made entirely from reflective material. The sleeveless version of Altura's popular Night Vision jacket has lots of reflective areas to bounce headlights back at drivers. Water makes a pretty good cutting lubricant, so you're far more prone to punctures in the wet, especially with the rain washing all the debris, grit and glass out of the gutter into the road. Even more than in summer, then, you want to carry tyre levers, a couple of spare tubes and a decent pump. The Topeak Roadie DAX pump combines a larger chamber than most with a useful Dual Action stroke that's always pumping, whether you're pulling or pushing. It's a dependable, no-nonsense tool for making punctures less of an arm-deadening delay. You can help prevent punctures by fitting a pair of Slime Pro Pre-filled Lite tubes. They're more expensive than regular inner tubes, but you should see a reduction in punctures. 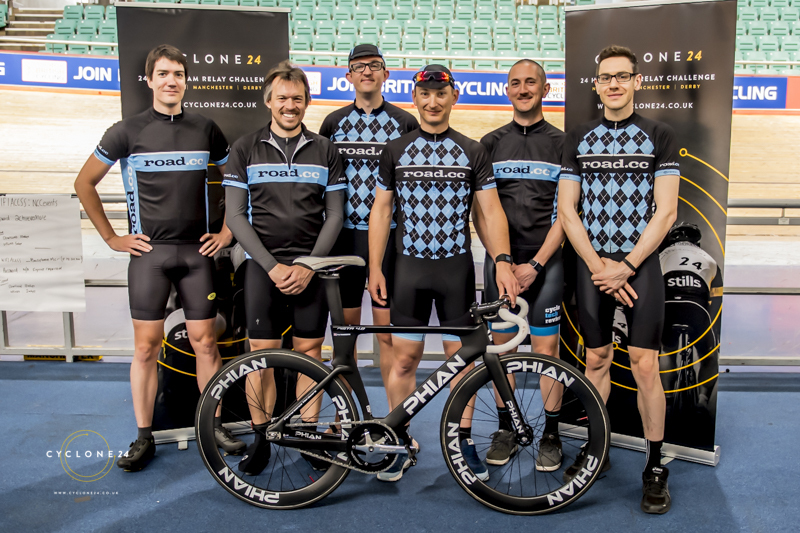 The Crud Roadracer mudguards in the picture look like the MK2, not the MK3. MK3 is attached by plastic velcro, not a rubber band. I got me some Endura neoprene gloves from the LBS sometimes last year, my first rain gloves, to go with my six pairs of temperature relevant gloves. My hands stayed warm and toasty through some very cold and wet weather. They are, of course, not waterproof, and my hands got wet, but it didn't bother me much, soaking wet summer gloves would be so much more annoying. And these gloves got soaking wet, bit of a faff having to turn them inside out to get properly dry. They never started to stink, but I did wash them every week (inside out) if I had worn them. Very much proper rain gloves, and for when it's cold, they are thick and squidgy and feel awful on the bars. Hot Tuna neprene gloves from House of Fraser/Debenhams/Tri UK or anywhere else Mike Ashley has bought up. Cost me less than a fiver and although my hands get moist, it's not a cold moist feeling. A blast under the hand drier in work and baby powder and all dry and smelling nice for the next time I need them.